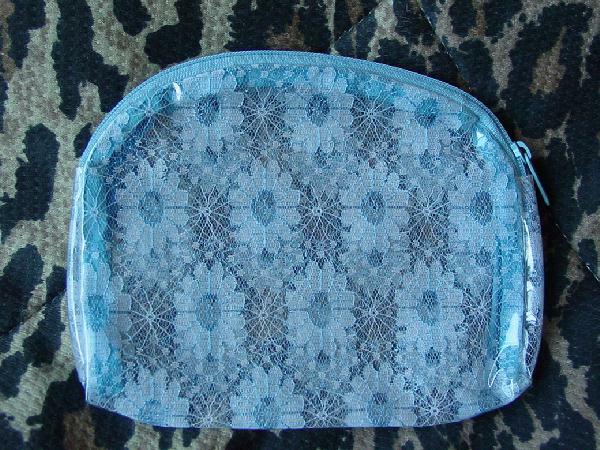 This vintage clear plastic clutch has a white lace floral lining. The flowers and accents are outlined in baby blue lace. It has a top side to side baby blue zipper. It's from a stylist's props and accessories collection.